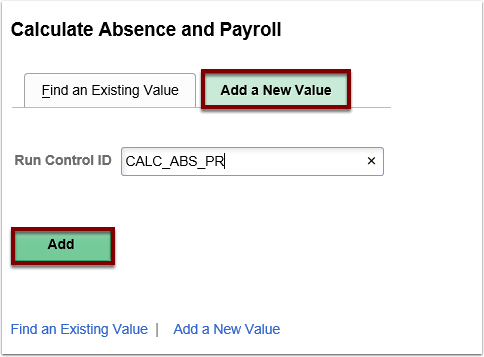 Purpose: Use this document as a reference for running the calculate absence (Takes and Entitlements) and payroll process in ctcLink. Click the Calendar Group ID lookup icon and select the appropriate calendar group ID. Tab past the Calendar Group ID field. Select the Identify checkbox. Once you run the Identify phase, you cannot select this check box again for the same calendar group ID, unless you cancel the entire run. The Open check box is selected automatically when the calendar group is initially identified. Click the Process Monitor link and make note of the Process Instance number.